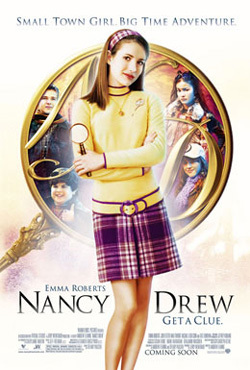 Nancy Drew accompanies her father on a business trip to Los Angeles California. Nancy booked an abandoned house for them to stay in hiding the mystery of a movie star's murder from her father as a promise that she would stay out of trouble and be normal. Fitting into high school as a normal teen turns out to be harder than it sounds, for Nancy Drew. She soon befriends a younger boy and determines that the sleuthing world is where she belongs. While snooping through the attic, she finds a letter from the Hollywood star, Dehlia Draycott, written to someone named 'Z'. This leads Nancy on a wild goose chase as she comes to find out that Dehlia has a secret daughter, her daughter is to inherit everything and someone killed Dehlia because they were written out of the will.